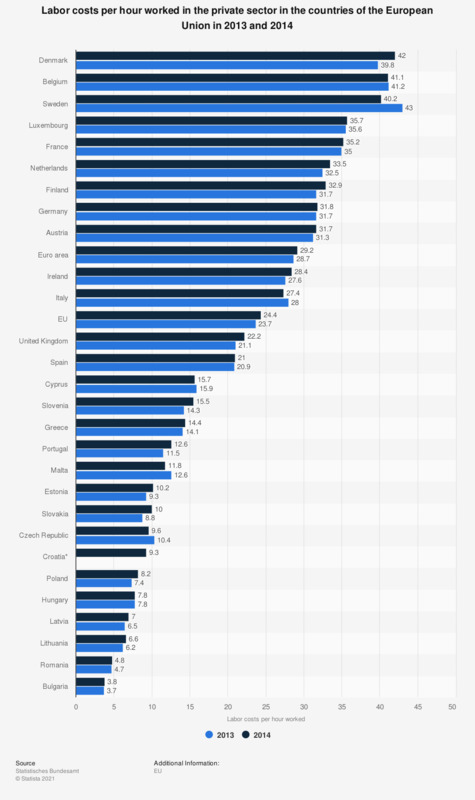 The statistic shows the labor costs per hour worked in the private sector in the countries of the European Union from 2013 to 2014. Labor costs consist of wages, salaries and wage costs. In 2013, labor costs in Denmark were at 39.8 euros per hour worked. *According to the source, figures are estimates based on the first three quarters of 2012. Has European Union integration worked to strengthen the economy? Do you consider the EC Bank to be favorable?